This Teal Dipped Glaze Utensil Crock is a stylish and fun cooking storage showcase for your countertop. 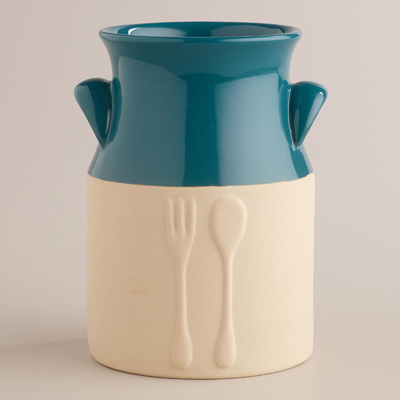 The matte stoneware base with embossed fork and spoon gives way to a shining dipped glaze top in teal blue. It’s an attractive essential for storing your whisks, spatulas and other cooking tools. $9.99. Buy here.